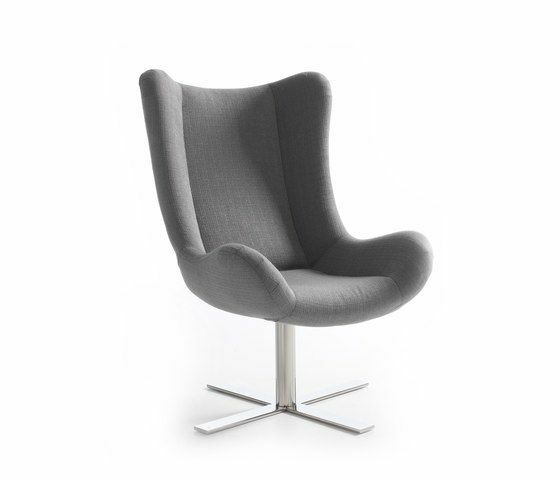 Armchair with surrounding shapes, with an elegant and slender appearance. The seat and the back are determined in a single piece anchored to a revolving base. MATERIALS: – Steel structure, covered by HRD 35 kg/m3 foam. Cover of thermo-sealed H250gr fibre. – Base, option to choose the swivel base in: stainless steel, ash wood, epoxi lacquered metal.